I love a fancy sweatpant, I saw a black pair with a white stripe down the side the other day and about died! this outfit is perfect, I love your pants! is it weird, or awesome, that everything you wear i want? you clearly wear everything so well! 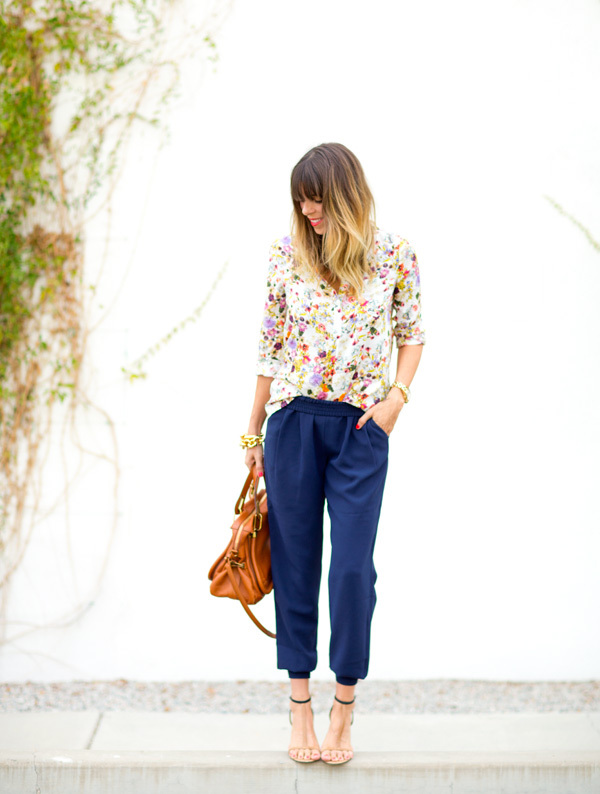 I seriously love this outfit… silk sweatpants, yes please! I dig fancy sweatpants too! Of course, so cute on you. 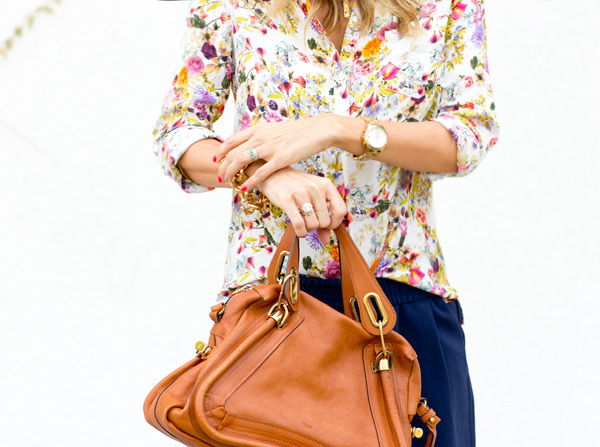 i've been looking for a similar blouse – it's beautiful! I bought a pair of James jeans "tailored denim sweatpants" a few years ago and they are the gift (to myself) that keeps on giving. I would never think to describe those as sweatpants! I love them, and the color to actually. And the shirt, and really everything about this look! Those SO do not look like sweats! They look so chic and the color is great on you. I'm all for fancy sweatpants! 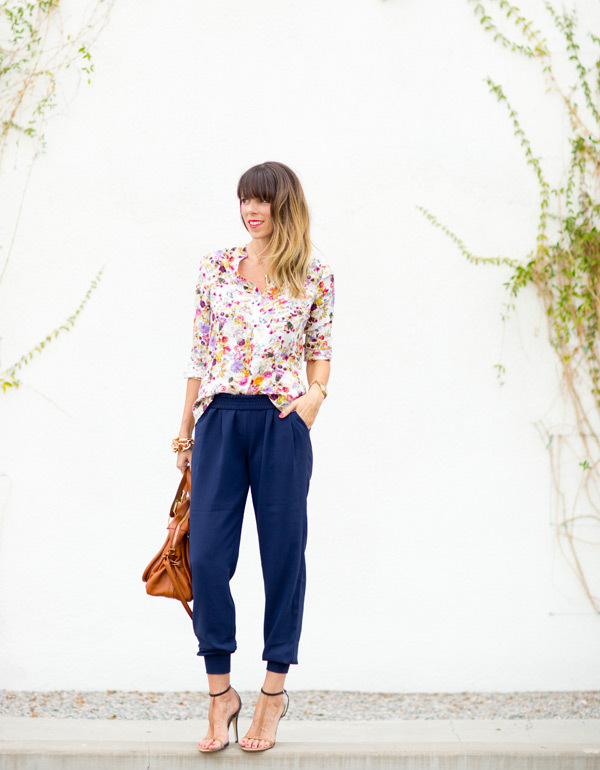 fancy sweat pants ftw they're such a fun thing to style up! Can you exercise in those pants? They're really an amazingly cool fit though, they've got all the flow of harem pants without all the… harem, I guess. I really like those pants! I am going to check them out now! I am, however, LOVING that top! Too cute. Oh yes! Feels chic but comfortable. When the summer starts I usually feel more and more attracted to such a style.